Tony Gwynn, in his final Dodger Stadium appearance as a player, 9/19/2001, during a pre-game ceremony celebrating his 20 year career . 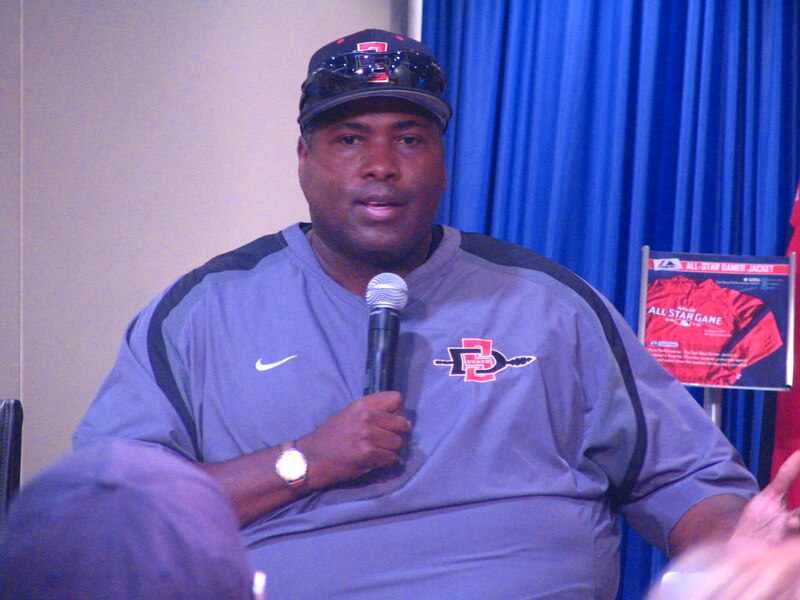 Tony Gwynn sharing his baseball stories to fans at the All-Star Fanfest in Anaheim, July 2010 . Fathers Day, June 2011 with then Dodger and current Phillies outfielder Tony Gwynn Jr. . I had the pleasure to greet the elder Gwynn after the game as I was walking through the Stadium Club level. He was very cordial and took the time to greet well-wishing fans . Tony Gwynn was the one ballplayer I always looked up to. I will always remember him. My prayers go out to the Gwynn family. RIP Tony. 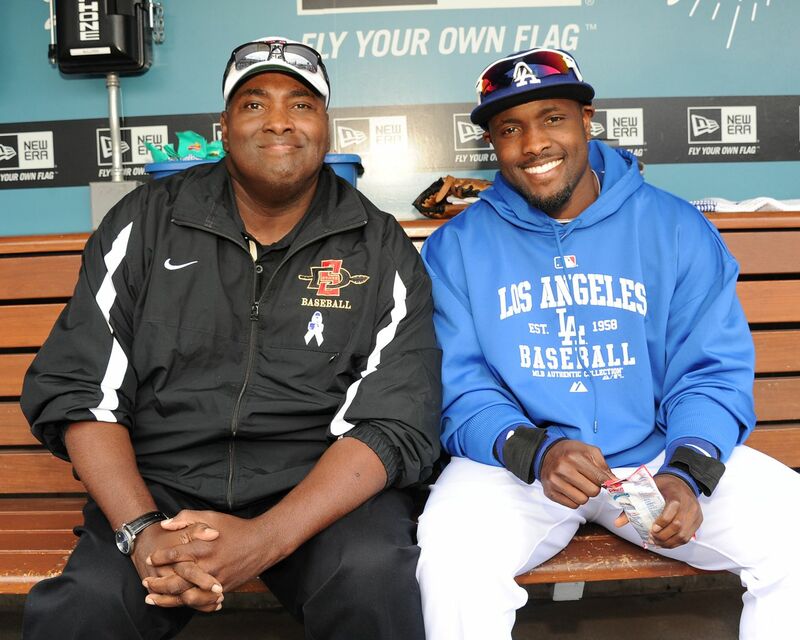 We are terribly sad to say goodbye to our teammate, our friend and a legend, Tony Gwynn. 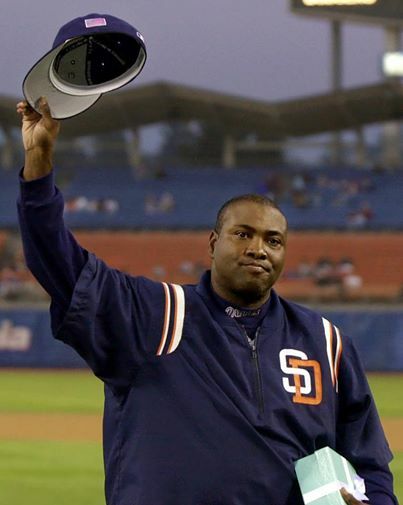 Rest in peace, Mr. Padre. Our hearts are heavy today. RIP Tony Gwynn. Thoughts to the entire Gwynn family and SDSU Baseball family. Tony Gwynn was more than Mr. Padre. He was Mr. Baseball. It can also be said that Tony Gwynn was the face of San Diego. R.I.P. Tony Gwynn. Baseball fans all over will miss you . 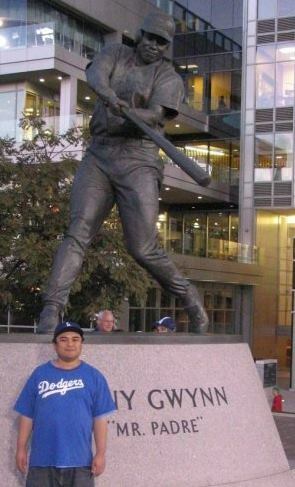 Here I am standing next to the Tony Gwynn Statue , April 2009 .